Are you planning team building, exhibition or party? Indulge your bussines partners, colleagues and friends unique experience. Our high-end simulators will make your event better! We offer fun, save and enviromentally friendly way to enjoy motorsport. We will follow you at the place you want us and provide professional service. Our experienced staff will arrange competition and prizes for winners. Promote your company with our simulators – we offer optional branding of the simulators, cars and tracks. Experience driving of track or rally race car. Challenge you friends and enjoy race at world best race courses. Simulators are connected together and allow battling directly on the track. Individuals can undisturbed enjoy time challange or race with UI drivers. 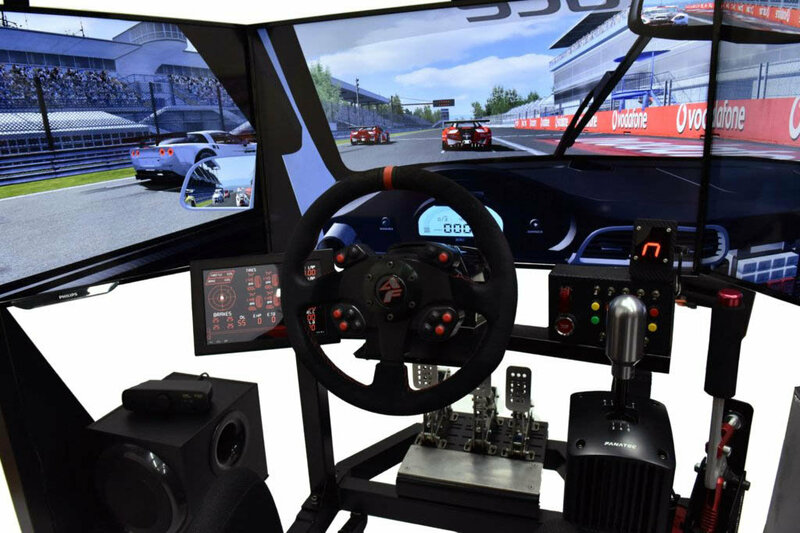 We offer complex training programme for racing drivers, including special car setup, individual simulator adjustments and also the possibility of creating a virtual copy of your car. Training on our simulators is effective way how to gain competitive advantage. Choose one of the standard models or configure your own. You have rich list of quality components from all over the world or from our own production to choose. We build simulators individualy to suit best your needs. Your satisfaction is our highest priority and high-quality service is part of our company culture. We will transport the simulator wherever you want, install it and train you in simulator control and setup. Premium service pack is also available.